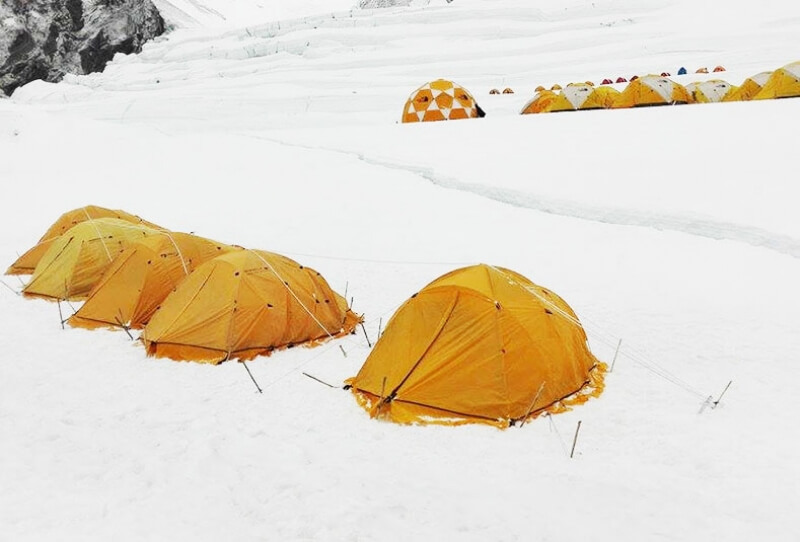 Our Everest team took a break on April 18. It was a resting day, we burnt juniper and quietly contemplated the events of 2 years past when we lost some good friends and guides. We miss you Ankaji. On April 19 the Everest climbers set off for their first rotation cycle. First climbing and sleeping at C1, then next morning climbed to C2, returned to C1 for the night, and finally returned to BC. They are all safely back at BC, and every excited to climb higher. The days were good with some windy nights. The team will start their next rotation to touch C3 on the 28th. Lakpa and his team are patiently waiting for another chance at the summit at Annapurna base camp, which should be soon. Keep posted.